The violin has been my passion and joy for more than 18 years. My performance experience includes venues from musicals and chamber ensembles to special events and solo performances. 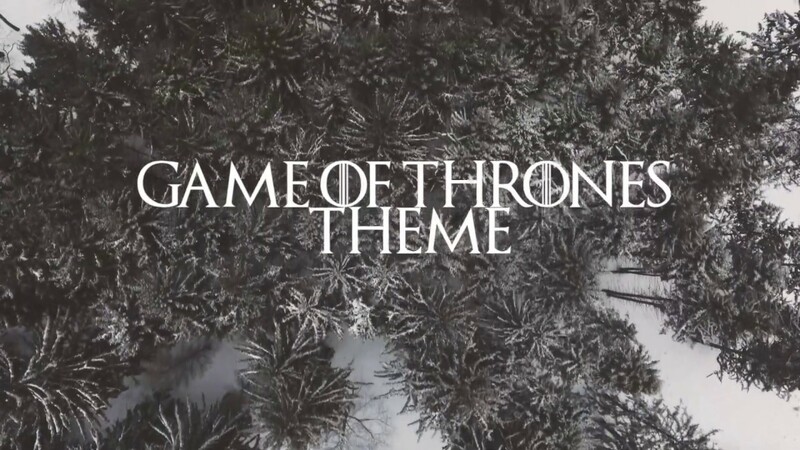 I have organized a comprehensive library of songs appropriate for any given occasion pertaining to any genre. To add variety to special events, my musical equipment includes acoustic and electric violins along with sound pedals paired with an amplifier. Please contact me to receive a prompt and comprehensive response. My goal is to provide each of my clients with excellent customer experience and a memorable performance. My fiance surprised me with a proposal atop The Ambassador Chicago Hotel, with Rachael playing a curated playlist of songs my husband had put together, on her violin. It was honestly the most shocking and beautiful experience of my life time. My grandmother played the violin for me growing up, and it was truly a special way for him to propose. Rachael is beyond talented, and extremely professional. 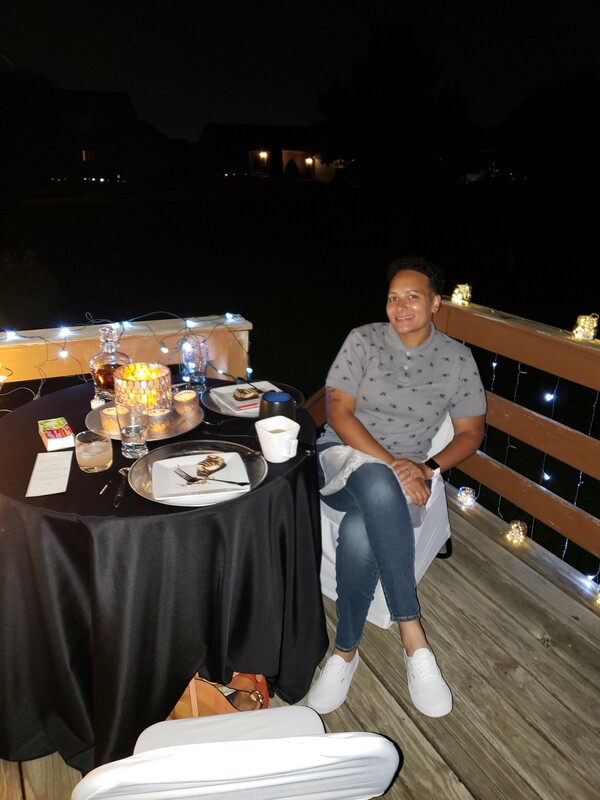 I know for a fact that my fiance has a busy work schedule, and can not always call back or respond quickly, and Rachael was so patient with him and all the last minute changes that had to happen in order to keep it all a surprise fro me. We loved her, and are definitely planning on hiring her again in the future. She is so warm, and sweet, she even took pictures of us after her set was finished. She came early and stayed late, just to help make the moment perfect for us. We highly recommend her for your next event! Wow!! So nice! Thank you so much. Such a great event. unimpeachable technique and a keen musical sense, as she made every note count! Rachael is accomplishing something that some Violinist likely thought impossible, crossing two genre's of music and making it fun! If you are looking for a violinist for ANY event, look no further! Rachael was absolutely fantastic, I would recommend her in heartbeat. 10/10. Punctual, professional, and very proficient... Highly recommend Rachael for your event..
Rachael was was prompt and professional! She was a lot of fun and was flexible. She played beautifully and really made the evening just perfect! Thank you so much! Such a great event! My guests enjoyed this surprise, and she nailed every song she played! Beautiful personality as well! Thank you, Rachael! She was wonderful. Our residents absolutely loved her. Thank you for making our residents Valentine's Day Dinner so special. We booked Rachael for our Grand Opening store event and she was awesome! Very responsive and prepared before and during the performance. Our customers and employees both loved her performance! She was professional, helpful with a pretty smile. Rachael played beautifully! She’s professional and reassuring, almost like a close friend. Everyone enjoyed her skills and abilities. I highly recommend her and will definitely, when needed, hire her again. Racheal performed four tunes that I requested and she did all them with poise and skill. This was all for my wife's birthday dinner and the result was rapt attention. With a couple of tears from my wife. Thank you. I rarely write reviews, but Rachael is deserving of an exceptional review.....5+ stars! In a very sad time of losing my mom very suddenly, Rachael shined through for us at my mom's funeral services. Mom insisted she always wanted a party when the time came, a celebration of life. She wanted Led Zeppelin, the Rolling Stones, the Doobie Brothers, etc. Rachael came through in an amazing way....everyone commented on how upbeat and beautiful her visitation was. Many people walked into a beautiful version of Stairway to Heaven playing. She was great at communicating...finding out exactly what we wanted, she created a play list and ran it past us ahead of time. She was punctual, (giving herself plenty of time to come up from Chicago in case the weather was bad) and she even offered to help with set up! What she doesn't know is that I still listen to her music. 10 minutes a day, I take a break and reflect on my mom with Rachel's music. I can not say enough about her and promise you will not be disappointed in hiring her for any type of venue! Thank you so much, Rachael! So nice! Thank you so much!! Thank you so much! Had a great time. You were perfect on our wedding day, because of you it was special. She was amazing and everyone at the event loved her! I cannot sing Rachel's praises enough!! 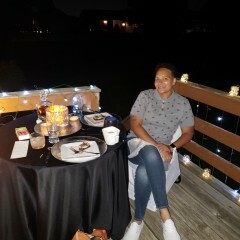 She turned my partner's intimate birthday for two into an event to remember. It wasn't a fancy huge party, but she played like it was. If you want to impress your guests, or like me, just want to impress one special man or woman, book Rachel. Her selection of songs was wonderful and she played along with instrumentals of songs we love. Her speaker had nice sound quality and her playing was simply beautiful. Not one note off key! It was a surprise for my partner and she was super accommodating. She even took pictures of us and with us. And she worked with my budget as well. Thanks Rachel!! I can't wait to work with you in the future. Rachel performed at my wedding ceremony and on July 15, 2018 and did an absolutely fabulous job. She made the ceremony and reception so beautiful. Her music is spectacular and she plays many genres. From the time I booked till my wedding day it all went so smoothly. I thank Rachel for making my day special. Highly recommend booking Rachel for any occasion. Thank you Karen! You looked so beautiful! Wonderful Customer Service and Performance! 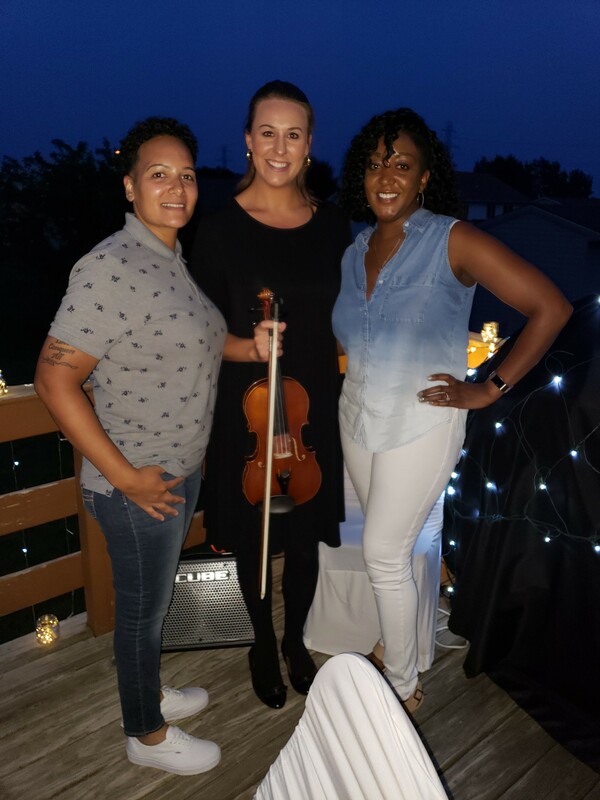 While Rachael couldn't perform due to unforeseen circumstances, she was incredibly prompt, proactive, and simply wonderful in finding us a replacement violinist, which was also superb in her own right. Throughout the process, Rachael maintained lines of communication with us and continually reassured us of her replacement. We couldn't ask for a better professional in Rachael. Thank you for your wonderful customer service! And yes, we would hire Rachael again in a heartbeat should we have the need for a violinist in the future. 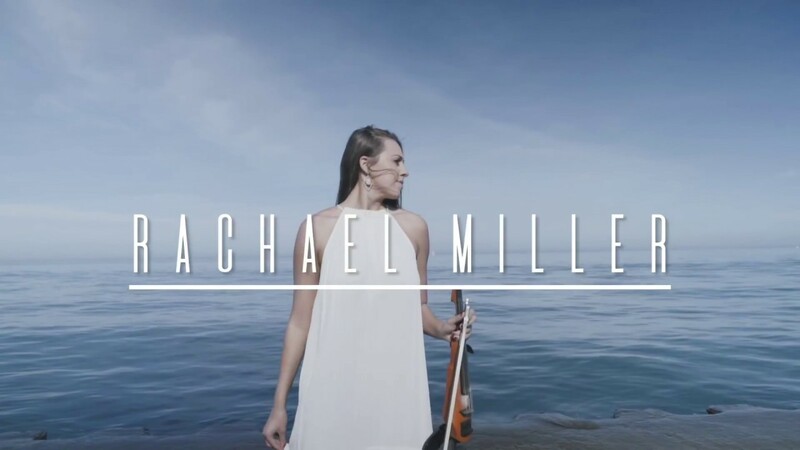 Rachael Miller is an exceptional violinist and a very kind person who is easy to work with. She played beautiful classical music during our wedding ceremony while adding a modern and fun twist at the cocktail reception. Everyone commented on how much they enjoyed her musical talent. She definitely helped us apply some special touches to our wedding day. We would highly recommend her to anyone planning a wedding, event or party. She is an exceptional musician and will make your event that much for special. Thank you for being a part of our big day. It really meant a lot to us. Wonderful customer service and amazing ability. Best decision! So great to hear! Thank you. She helped me select songs, was there ontime and did just great. Rachael did an amazing job at our wedding, and she was very professional in how she approached the event. I was impressed with her flexibility and desire to make her portion of the wedding special and exactly what we wanted. And... she is incredibly talented btw. I highly recommend her for a wedding, or any other event! Thank you so much!! Such a great event. 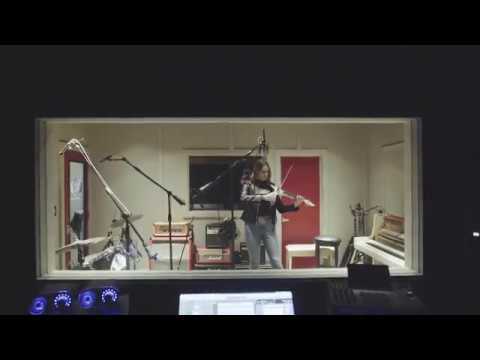 Talented young violinist. Wonderful personality. Rachael played for our daugther's second birthday party and she was a hit! She is extremely talented and professional. She was very easy to communicate with and always responded promptly to emails/messages. She tailored her playlist to suit our requests perfectly. All of our guests were really impressed by her performance and she was amazing with the kids! My highest recommendations. Rachel did a wonderful job at my wedding. She played during cocktail hour and also during my ceremony. All of my guests were blown away by how great she was. This morning at breakfast everyone was talking about how she was so good it gave them all chills! 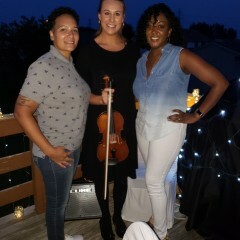 We booked Rachael to play violin for our ceremony and cocktail hour at our wedding. She was absolutely amazing!! The ceremony music was perfectly executed and added such an elegant touch. Being the bride and groom, we did not get to participate in cocktail hour, but we had so many guests come up to us and say what a wonderful musician Rachael is. One in particular specifically mentioned he was amazed she played "Stairway to Heaven." She was really easy to work with and personable. She helped us to pick out our ceremony music and gave us suggestions for cocktail hour. Her repertoire is really extensive...classic, contemporary, you name it! I would absolutely book her again and would highly recommend her for any type of event. Thank you Rachael for making our wedding day that much more perfect! Thank you!!! Safe travels back to New York! Rachael played during my wedding dinner hour last month and all I have to say is she was absolutely phenomenal! My guests loved her. They are still bragging about her till this day. She played while my husband and I cut our cake and then she went from table to table to play for our guests. I could not be more pleased with her work, amazing attitude and professionalism throughout the planning process and throughout my wedding. I'd book her again for sure if needed and definitely recommend her to people. She deserves the five stars! Thanks Rachael for making our day so unforgettable!! So nice! Thank you so much. You're wedding reception was beautiful. To sum up our experience with Rachael, it was magnificent, her music divine! She is extremely professional, excellent violinist with great people skills! The music she rendered while we were dining was simply beautiful and made our baptism party more special. Our guests were raving about how the great music was and even more notable, our baby girl, truly enjoyed listening to the classical music she played that she was VERY CALM, NEVER CRIED thru out the event🤗🤗. Thank you very much Rachel for making our baptism party extra special!!!! Thank you!! Your family was wonderful. Looking forward to working with you again. Thank you so much! I had a great time. Rachael did our wedding ceremony and it was absolutely PERFECT! She was quick to respond to all my emails and questions while we planned the music for the ceremony. We had an outdoor ceremony in a garden and the violin sounded amazing in this setting. We could not have been happier with Rachael and having her a part of our day. We can't wait to see our wedding video and hear her beautiful music again. Thank you again Rachael - your music and talent made our day even more memorable. Rachael was great from start to finish. She was professional from the moment we booked her and was responsive through email. We also had a DJ for our event and she took it upon herself to coordinate with the DJ separately to ensure she delivered an amazing hip hop performance. We weren't sure what to expect but her skills blew us away. During her set, guests were coming up to me to praise her. We didn't want her set to end! We will definitely book Rachael for an event in the future! 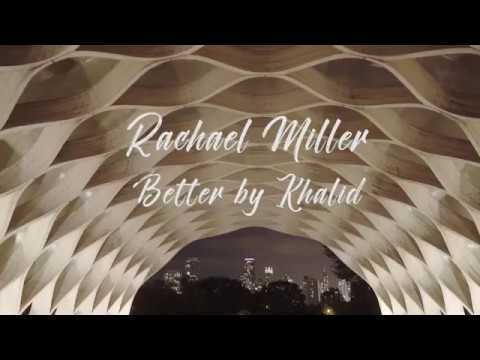 She is the Best , she made our wedding amazing , ppl was Enjoying tge beautiful performance for reception and dinner time , I highly recommend Rachel for any type of party ,Very professional! She is really good in what she is doing! Thank you Rachel!~ Goran and Martyna K.
Thank you so much! Beautiful wedding and a beautiful couple. Hope all is well. "In my 25 years as a professor at ISU, Rachael's gift as a technician on the violin ranks as the best undergraduate student I have ever had in my studio." The violin has been my passion and joy for more than 18 years. Having been trained in the Suzuki method, my ability to play by ear and read with precision began when I was 4 years old. As my skills improved, I focused on classical works yet quickly learned other genres of music. My innate ability to play by ear has provided me with the skills to perform in a variety of settings. My performance experience includes venues from musicals and chamber ensembles to special events and solo performances. Throughout my experience, I have organized a comprehensive library of songs appropriate for any given occasion. To add variety to special events, my musical equipment includes acoustic and electric violins along with sound pedals paired with an amplifier. I invite you to contact me to receive a prompt and comprehensive response. My goal is to provide each of my clients with excellent customer experience and a memorable performance. Varies depending on client request. Varies depending on the client! Accomplished violinist with 18 years of classical training, along with extensive performing experience in orchestral, operatic, chamber, and special occasion music.